Aluminum Panels with White Coatings in Florida with 10 Years Weathering.  The COOLWALL® System now incorporates industry leading Kynar Aquatec® Polyvinylidene Fluoride (PVDF) resin technology. The chemical make-up of the Kynar® PVDF is very closely related to that of Teflon®, giving it similar non-stick properties and enhanced chemical resistance, enhanced heat resistance, and increased reflectivity. 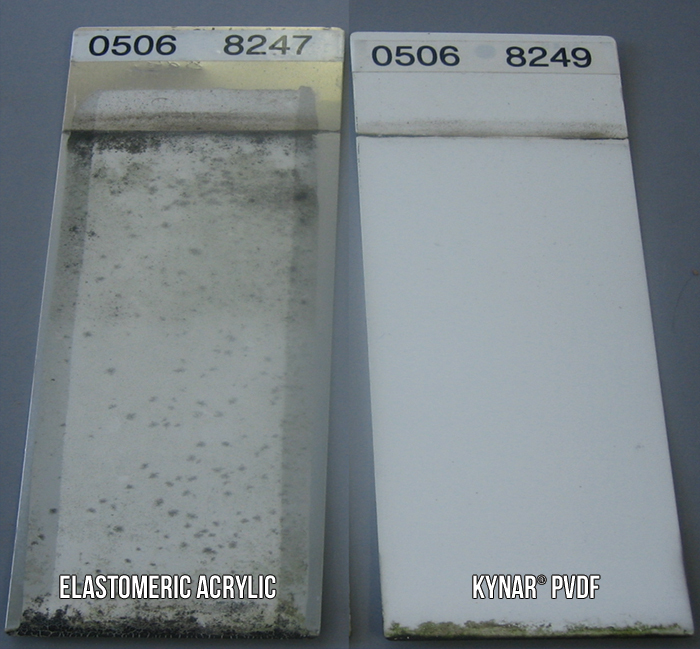 The Kynar® PVDF resin is a natural barrier to mold, mildew, and dirt pick-up due to its low water absorption and low surface tension.These properties are inherent in the Kynar® resin so they last the lifetime of the coating and will not leach out over time as mildewcides do in conventional paint.